On the 3rd of March 2015 the Report of the Inquiry into the Use of Immigration Detention in the UK was published. The report was compiled by an inquiry panel, set up in July 2014 and made up of representatives of all the major political parties. The inquiry collected written and oral submissions from a significant number of detainees and ex-detainees at UK immigration removal centres, as well as submissions from associations that deal with migrants’ rights and with the conditions experienced by those who are detained within removal centres. The inquiry’s conclusions are unmistakable: the system needs to be changed because it is harmful and humiliating as well as being ineffective and costly. As page four of the report states, “little will change by tinkering with the pastoral care or improving the facilities. We believe the problems that beset our immigration detention estate occur quite simply because we detain far too many people unnecessarily and for far too long. The current system is expensive, ineffective and unjust”. The inquiry’s words arrive at a very delicate moment for UK immigration removal centres. In the past few months, a series of accusations and investigations have revealed the dramatic situation in which detainees in immigration removal centre can find themselves. Hunger strikes and suicide attempts on the part of detainees, as well as accusations of sexual harassment, racism and poor care by some centres’ staff, have reached the front pages of newspapers, and investigations by major TV channels have revealed awful stories concerning the mental health issues many detainees experience. In the UK there are 14 immigration removal centres, all of which are the responsibility of the Home Office and in which, at any one time, between 2,000 and 3,500 migrants are detained. Some of these centres, such as Colnbrook, Harmondsworth or Brook House, are built and/or run as category B prisons (one category below maximum security). Others are organised in a less rigid manner; however, inevitably, the centres are buildings surrounded by high walls and barbed wire which detainees cannot leave unless they are transported – in handcuffs – from one centre to another, released into the community or returned to the country of provenance. While a few are run directly by Her Majesty’s Prison Service, the majority of the removal centres are run by private companies such as G4S or Serco. At the end of 2014, the estimated cost for each detainee was £97 per day. Migrants detained in removal centres are generally asylum seekers whose cases have been refused (but who often have appeals pending), migrants who do not have valid documents, and ex-offenders who were given a minimum of a 12-month sentence. These categories are not neatly divided, and often asylum seekers, who by law cannot hold a job, are sentenced for having worked without the necessary paperwork or for having used fake documents and, at the end of their sentence, they are transferred to a removal centre. The official reasons for the detention of migrants are: imminent removal, possibility of the migrant absconding, and reasons of public security. People who suffer from mental illness, who experienced torture and pregnant women are expressly excluded; despite this, however, the cases of detention of people who report having been tortured, who have pre-existing mental issues, or are pregnant, are relatively frequent. A final but significant point is that only about half of the 29,665 people who were released from detention in 2014 were returned to the country of origin; the remaining 50% obtained refugee status or were released pending a definite decision. There are, therefore, many serious questions in relation to the aim and the need for detention, which have contributed to the recommendations of the detention inquiry. Uniquely in Europe, the UK sets no limits to the time migrants can be detained, one of the main reasons for the psychological issues many detainees experience. While the majority of detainees are released or returned after two months of detention, cases in which detention lasts for several months, sometimes even years, are not infrequent. Alongside the possibility of being returned to countries they fled because of wars, persecution or violence, this lack of limitations causes detained migrants the uncertainty, frustration and anxiety that have led to many of the suicide attempts and deaths that are regularly exposed by the media. There are several associations and charities that are concerned with the situation of detainees in removal centres. In each centre there are groups of volunteers who regularly visit detainees to bring emotional and practical support, reduce isolation and guarantee contacts with the outside. Since 2010 I have been visiting detainees in the only removal centre in Scotland, Dungavel Immigration Removal Centre, with the charity Scottish Detainee Visitors. The centre is located in the countryside; it is quite hard to reach by public transport and far from any town. 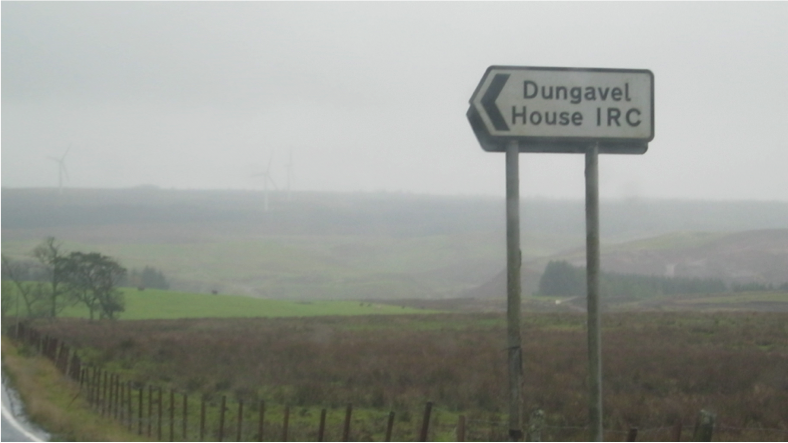 In Dungavel, as in all other centres, migrants are detained from anywhere in the UK, independently of where their families or friends live. Dungavel offers, compared to many other removal centres, a relatively relaxed environment. However, as the inquiry stresses, improving facilities or pastoral care cannot redress the inherently damaging nature of the current system of immigration detention. As a volunteer, I have been able to witness with my own eyes the detrimental effect of confinement on the mental wellbeing of women and men who are held in detention, in particular when they are detained for lengthy periods. The Scottish government may, in comparison to other parts of the UK, have a more benign attitude towards immigration. However, immigration is a reserved matter, one over which the Scottish government has no say. As a consequence, in Dungavel (just as in other centres) frustration is high, and there are cases of depression and suicidal thoughts. Several of the detainees who have spent time in prison say they preferred the first as, in prison, at least they have a clear idea of when the sentence will end and they know that there is a reason why they have been deprived of their freedom. The Report of the Inquiry into the Use of Immigration Detention in the UK documents the shock among several of the MPs involved on hearing the testimonials of detainees and ex-detainees, women and men who have committed no crime or who have already finished their sentence, and who often have experienced violence and persecution. Locked up for months and, sometimes, even years without a release-date for simple administrative convenience, these women and men told the inquiry panel stories of deep malaise and experiences of ill-treatment or harassment in some of the centres. There should be a time limit of 28 days on the length of time anyone can be held in immigration detention. Detention is currently used disproportionately frequently, resulting in too many instances of detention. The presumption in theory and practice should be in favour of community-based resolutions and against detention. Decisions to detain should be very rare and detention should be for the shortest possible time and only to effect removal. The Government should learn from international best practice and introduce a much wider range of alternatives to detention than are currently used in the UK. The parliamentary inquiry’s report offers an important weapon against the increasing demonisation of migrants in the UK and against the inhumane practice of incarcerating people for political gain. However, those of the inquiry are only suggestions and they are not binding. The work, therefore, starts now and it involves all the individuals and organisations of civil society who engage with migrants’ rights and to whom it falls to ensure that the important recommendations of the report are not shelved. 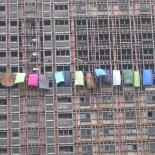 The suffering, the commitment and the hopes that have animated the inquiry must not go to waste. This entry was posted on March 31, 2015 by gramnet in Comment and tagged asylum, immigration, immigration detention, Refugees, time4atimelimit.